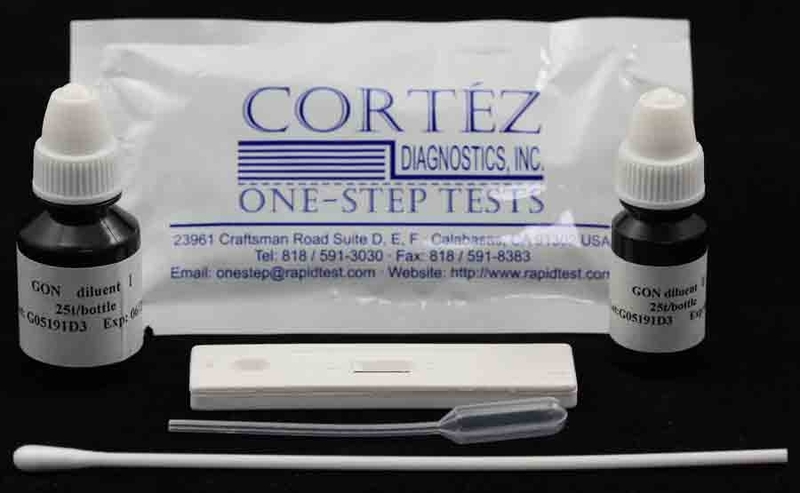 The One Step Leishmania Rapid Test is a Visceral Leishmaniasis (VL) rapid immunochromatographic strip assay for the qualitative detection of antibodies to members of Leishmania. donovani in human serum. The assay is for the aid in the presumptive diagnosis of VL. This test is not intended for use in blood donor centers or blood component manufacturers. Visceral Leishmaniasis is a severe disease with high mortality, endemic in 88 countries including 17 developed nations causing serious problem in much of the world. In areas where leishmaniasis is endemic, recent migration patterns of people, vectors (sandfly) and reservoirs (dogs) have led to the urbanization of VL. In Southern Europe, VL has become the leading opportunistic infection in AIDS patients. VL is caused by members of the Leishmania donovani complex and canines have been identified as the major reservoir for transmission. Serodiagnosis has been widely utilized to establish infection because antileishmanial antibody titers are high during acute disease. The preferred method of diagnosis in a laboratory situation is by ELISA, although fluorescent antibody (IFAT) or direct agglutination tests (DAT), both utilizing whole parasites, are still widely used. 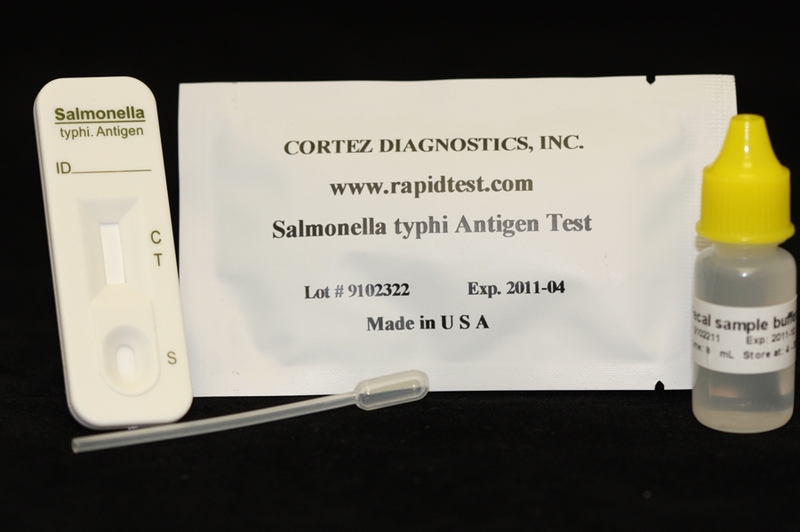 These tests are highly cross-reactive with trypanosomes and mycobacteria. In addition, the whole parasite preparations used are unstable and variable in quality. This rapid assay is for the qualitative determination of antibodies to a recombinant antigen specific for Visceral Leishmaniasis caused by parasite members of the L. donovani complex. Leishmania Rapid Test is a qualitative, membrane based immunoassay for the detection of antibodies to Visceral Leishmaniasis in human serum. The membrane is pre-coated with rK39 on the test line region and chicken anti-protein A on the control line region. During testing, the serum sample reacts with the dye conjugate (protein A-colloidal gold conjugate) which has been precoated in the test device. The mixture then migrates upward on the membrane chromatographically by capillary action to react with recombinant VL antigen on the membrane and generates a red line. Presence of this red line indicates a positive result, while its absence indicates a negative result. For additional details please refer to the instructions for use. 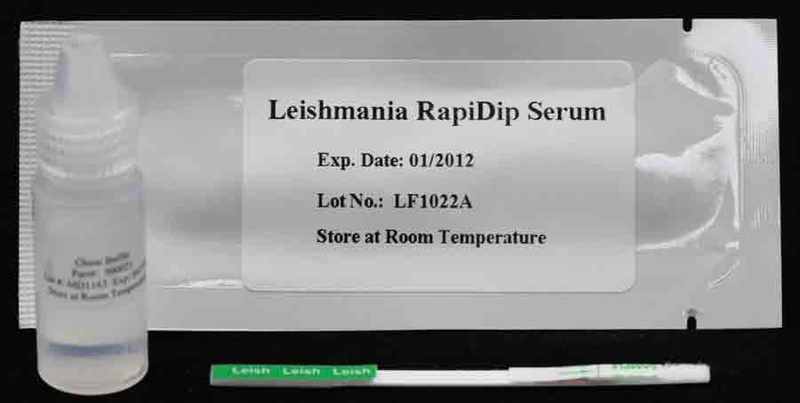 See Leishmania Rapid Test Product Insert for specific details on preparation, procedures, quality control, and interpretation of test results.